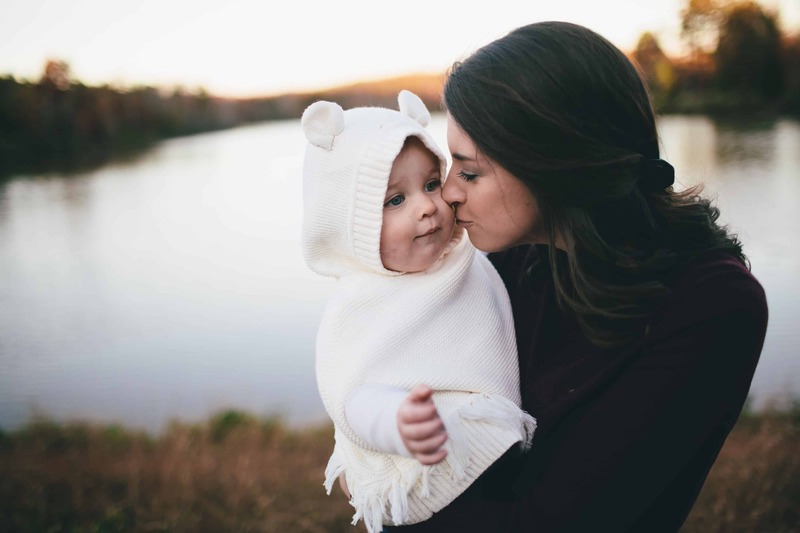 As a first-time mom, chances are your impending due date has you feeling mixed emotions– you might be anxious or nervous about the labor and delivery part, and elated to meet your sweet baby all at the same time. Because I’ve been there, I know you’re likely scurrying around trying to soak up every last bit of information you can regarding your up-coming labor. 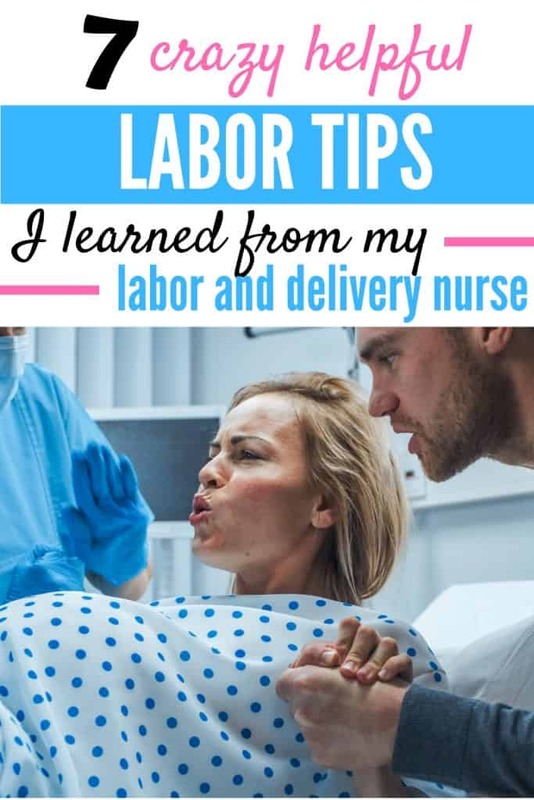 So in an effort to save you some time (and sanity), I’ve included the best labor tips you need for a successful delivery– in other words, take a breather, mama, I’ve got you! Trust me, I get it. Labor is next level scary. It’s scary not knowing what’s going to come next or how much birth is going to hurt. But hear this, fear leads to tension, which leads to even more pain. This is what we call the fear-tension-pain cycle. You break the fear-tension-pain cycle by relaxing, which of course, is easier said than done when you’re in labor. Unless you’re a pro at relaxing your body during episodes of pain or discomfort, you’ll likely want to tense up during your first contraction. Typically during a contraction your hands, brows, jaw and hands will be tensed. At the first feeling of a major contraction my natural inclination was to grab a hold of the bars on the side of the hospital bed and clinch my face and jaw. Big mistake–this was causing my body to tense, and subsequently resulted in more pain. Relaxing your body, and especially your face, hands and jaw help to relax your pelvic floor muscles, making delivery much less painful. My nurse kept telling me to relax my jaw and hands, and as unnatural as it felt, once I finally quit tensing the pain was much easier to bear. I’ve since read that many women take comfort in squeezing a stress ball during labor, as squeezing a stress ball isn’t the same as tensing, and it actually works to release tension. I’ll be packing a stress ball in my hospital bag next time! Bottom line: You can break the fear-tension-pain cycle by relaxing your face, jaw, brows and hands. Despite knowing that breathing was important, upon experiencing intense pain with contractions, I started taking many shallow breaths, which almost took me to the point of hyperventilation. My L& D Nurse coached me to take long, deep breaths and focus my energy on those breaths to minimize pain. Breathing like this not only helps you focus on something outside of the discomfort, but it also helps relax your body, which is so important! I would encourage you to start practicing deep breathing techniques so that once your labor starts you’re familiar with how they feel. Apparently there’s a wrong and a right way to push. For the first 20 minutes or so, I was pushing the wrong way, and wasn’t really progressing as a result. My nurse instructed me to push using the same muscles involved in passing a bowel movement. The energy for the push should come from your abdomen, and after my nurse instructed me to put my chin down (remember to keep your jaw unclenched, though) and focus on pushing from my abs, things moved much faster. And speaking of bowel movements…what happens if I poop? Everybody poops. Especially during labor. No, you’re not guaranteed to poop, but it is likely. Don’t let the fear of pooping cause you to not push correctly. Your labor and delivery nurses don’t care. I was so mortified about the possibility of pooping during labor it was practically one of the first concerns I blurted out once I arrived at the hospital. My sweet L& D nurse put my fears at ease right away by telling me pooping during delivery is completely normal, and in fact, they want you to poop. Turns out the same muscles that need to be activated to properly push your baby out are also the ones responsible for pushing out a bowel movement. To further alleviate my fear my nurse told me I wouldn’t be able to tell by looking at her face if I did in fact poop and that it would be wiped away immediately. So if you’re fearing about the dreaded poop, stop now! Bonus tip — Take a course! As your due date draws near, one of the best ways to ease the new mom jitters is to be informed. I felt so comfortable with the entire idea of labor and delivery after going through an informational course. I came away learning about the entire process and was armed with tips to help ease the pain. This comprehensive labor prep course by Mommy Labor Nurse is amazing! This is her natural series, but trust me, it’s great even if you plan on getting an epidural. An epidural is great at reducing your pain, but it doesn’t take it completely away. Liesel from Mommy Labor Nurse is an experienced Labor and Delivery Nurse and does a great job at outlining all pain options you can take advantage of, while going over several techniques to cope with pain during labor and delivery, too. I highly recommend it! Pain has a way of crippling you, making you resistant to trying anything but what feels natural. Take a break from lying in bed by sitting on an exercise ball! Sitting on the ball with a wide stance helps with low back pain and also works to open up the pelvis. If you’re experiencing back pain, try this position. Rest some pillows on top of the chair so that you can relax in between contractions. This position is thought to really help women experiencing back labor, as it encourages your baby to rotate. If you aren’t progressing very fast, your L&D nurse might suggest you lay on your side and use a peanut ball (watch video below for a full explanation of this). The peanut ball allows laboring women to get some rest, while working to really open up the pelvis at the same time. There have been studies that show peanut balls are effective at shortening the length of labor and reducing the chances of a c-section. Your nurses don’t expect you to have read every labor and delivery book known to man, nor do they expect you to have 7 childbirth classes under your belt before you waltz into the delivery room. Yes, it’s very helpful to read a book, attend a class, or talk with a mom that’s been there before you come in, but don’t feel like you have to be a pro. Your L&D nurses are there to coach you through the whole process. Listen to them! They’ve done this a thousand times and have your best interest at heart. If your hospital is anything like mine, they’ll put your support person to work– so make sure you choose wisely! You need someone who’s strong, willing to jump in and help you get comfortable, remind you to breathe, hold your legs while you push and above all, just be supportive. 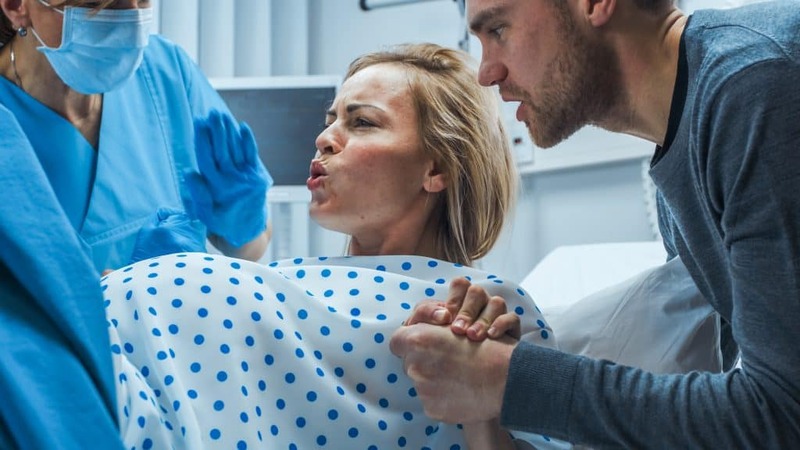 While preparing for my due date, one of the pieces of information that stuck with me and subsequently really helped me stay in the right frame of mind during labor and delivery was the fact that labor pain is unlike any other pain. It’s positive pain, for a positive purpose, as you’ll soon get to meet this little person who has been growing inside of you. It’s true what they say– you’ll forget the pain as soon as you first lock eyes with your newborn. I believe in you, mama, and I think you’re going to rock your delivery! Have any labor tips you want to share with me? Leave me a note below! Thank you so much for sharing this information! I’m in my first pregnancy now (due in September) and have many questions about labor and delivery. I loved your suggestion about packing a stress ball in your hospital bag, I will do that.